On December 17th, I will join several others for an exciting day of counting bird species and numbers in our lovely, snowy valley. The numbers will be entered on a database that will be shared globally. The Christmas Bird Count began on Christmas Day in the year 1900 when ornithologist Frank M. Chapman, an officer in the nascent Audubon Society, proposed a new holiday tradition—a “Christmas Bird Census” that would count birds during the holidays rather than slaughtering them, which had been the past ritual. The data collected by observers over the past 116 years has allowed researchers to study the long-term health and status of bird populations across North America. When combined with other surveys such as the Breeding Bird Survey, it provides a picture of how the continent’s bird populations have changed in time and space. This long-term perspective is vital for conservationists. It informs strategists to better protect birds and their habitat and helps identify environmental issues, with implications for people as well. Along with the fun it brings, the count has special significance for our changing climate’s impact on birds which is disrupting populations and their spatial distribution that are changing at an accelerating rate. Audubon’s 2014 Climate Change Report is a comprehensive, first-of-its-kind study that predicts how climate change could affect the ranges of 588 North American birds. Of the bird species studied, more than half are likely to be in trouble. The models indicate that 314 species will lose more than half of their current range by 2080. Audubon’s Climate Initiative, the organizational response to this threat, taps into its members’ love and commitment for birds to build population resilience and demand solutions to slow the pace of warming. Audubon is encouraging its members to take steps to address the climate change threat in their backyards and communities. Visit their website at audubon.org for how to take action. 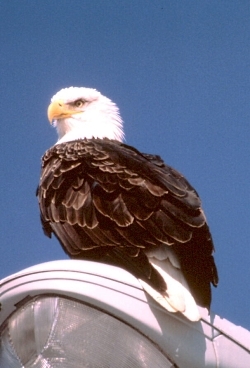 The Environmental Protection Agency has included Audubon’s climate change work from CBC data as one of 26 indicators of climate change in their 2012 report. In 2007, CBC data were instrumental in the development of Audubon’s Common Birds in Decline Report, which revealed that some of America’s most beloved and familiar birds have taken a nosedive over the past forty years. 142 species of concern are found in Utah including our state bird, the California gull and our national bald eagle. Averaging the most recent 10 years, our valley has seen 16 species increase and 11 species decline. Of course we would need a much broader sweep to know the true story of these species, but our data may play a significant part in the overall analysis. And please, keep those bird feeders full as we enter the coldest month of the year! 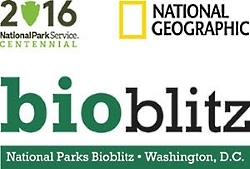 “So what is a BioBlitz anyway”, by far the most common question we get from the public who visit our parks and other venues offering the event. A BioBlitz is an event that focuses on finding and identifying as many species as possible in a specific area over a short period of time. Scientists, families, students, teachers, and other community members work together to get an overall count of the plants, animals, fungi, and other organisms that live in a place. My first experience occurred two years ago at the Golden Gate NRA where several thousand folks joined us. One of many highlights was standing on the Golden Gate bridge with a bunch of college students during a wind driven rain storm counting porpoises swimming through far below. 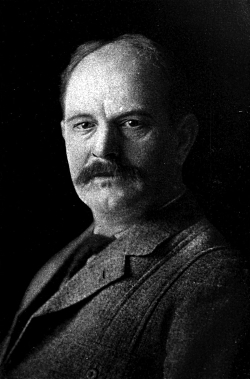 Joining us was a lead mammologist who had been researching the return of these remarkable beings. The porpoises had been excluded from the bay by a massive cable net installed during WWII to prevent enemy submarines from entering the bay. Many new species of life were added to the Park list as is often the case. Last year I joined the Hawaii Volcanoes NP for another grand experience including many native Polynesians adding a marvelous cultural component to the experience, then on to Yellowstone NP where my team investigated pika numbers near Mammoth Hot Springs. The park is especially concerned with the warming trend and reduction of snow pack on their long term survival. I just returned from blitzing New Mexico’s Bandelier NM. As with Hawaii Volcano, they included a strong cultural presence by inviting in the Pueblo people to perform and exhibit their rich life ways. During the two-day event 17 inventory teams collected 877 observations and identified 363 species. Back home we had our first event on the Logan River golf course a week ago sponsored by Audubon International and our local Bridgerland Audubon chapter. For our first run we did well. 57 bird species, 67 plants, 1 reptile, 1 amphibian, and a few fungi made the list. There are many more species that were overlooked given our short window of time and limited numbers of observers. Perhaps you will find opportunity to join a Bioblitz, or create one of your own in your area. Gather up some folks, load the I Naturalist program on your smart phone or I pad and spend a few ours or few days reveling in what nature has to offer- many surprises to say the least! This has been Jack Greene reading for WAU.